The general fund is used for many needs including growth of WARM as a mission and enlarging its church planting capacity. Funds will be used among all the countries. You can donate directly to our seminary programs that we offer throughout West Africa. Currently, there are study centers in Senegal, Gambia, and the Ivory Coast. We develop sustainable projects to provide jobs and income for locals while also providing the income necessary to fund strategic mission projects. Follow this link to DONATE TO SENEGAL GIRLS HOME. Note: the Senegal Girl’s Home is project account #97043. Then select ‘recurring’ to establish the frequency of your sponsorship as monthly, bi-monthly, quarterly, or annual with a start and end date. 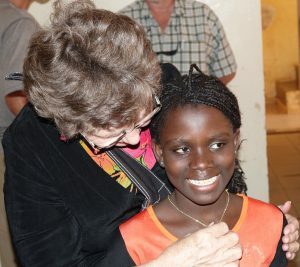 For more information please inquire at wareformedmission@gmail.com or call (704) 750-WARM (9276) and ask to speak to someone about sponsoring a girl in the Senegal Girl’s Home. You can give one-time and monthly gifts by check or even by automatic ACH withdraw from your account. Automatic withdrawal is done by the online donation portal (see options above). You can mail a check to the following address and include the project number in the memo line (or on a note) that you wish to donate to. Please do not send a check without instructions, but designate the funds for one of the above accounts.